Flawless beauty is what modern women are concerned about quite much today as they know that this will be one of the keys to bringing them the confidence. The flawless beauty can come from the outside look, in specific, the perfect, glowing and flawless skin. The truth shows that the modern girls have spent so much time and money on skin care in hopes of possessing a perfect look because they partially take notice of the exposure of their skin to harmful polluted substances or contamination produced from people daily activity. We cannot impact on the surrounding, so it is a relevant choice for us to find out the best solutions to protect our skin from such stuff. The best solutions are several, but the problem is that they require you much money, waste your time but you sometimes still don’t realize the improvement on your skin and even feel the worse condition caused by chemicals in some toxic skin products. So it is suggestible for you to change your habit of caring for skin: instead of abusing chemical product, come to use natural ingredients to make a face mask, then all current problems on your facial skin will be solved thoroughly. You may be worried about not having enough ingredients to make an effective face mask, but stop worrying as Effective Remedies is going to reveal to you the list of top 27 natural DIY 2-ingredient face masks for glowing, flawless skin. Can you realize the special thing here? That’s it “2-ingredient”.You may think that 2 ingredients are too few, but actually, they are powerful enough to turn your face skin to be more gorgeous than ever. 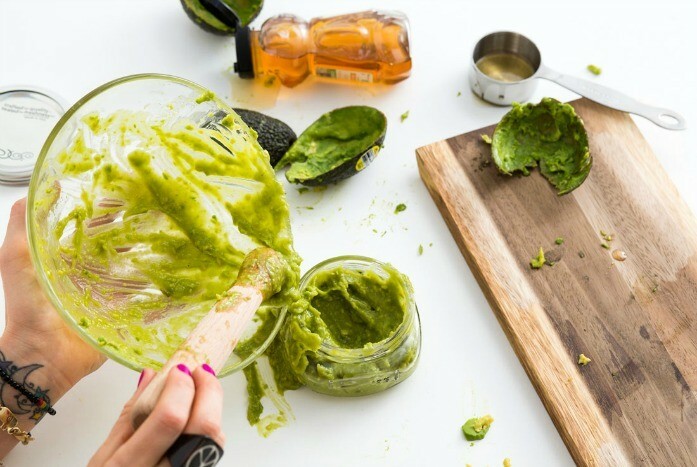 For the first DIY 2-ingredient face masks for glowing, flawless skin, you will be exposed to a very popular ingredient which has been widely used by so many modern women – avocado. Actually, there must be a secret behind it to make it an integral part in so many natural skin care remedies. The secret lies in avocado’s attributes as you can see: it is extracted to moisturize your skin and palliate the wrinkles on your face efficiently thanks to its rich content of amino acid, vitamins, and antioxidants. Especially, when being combined with honey, this mask will become a great moisturizer for normal or dry skin as it is supported by the humectant properties. Apply this face mask on your skin for 20 minutes and then rinse it off with clean water. Something you may be concerned about are you can replace avocado with a banana, and if you don’t have honey, simply apply the avocado pack on your face. It is still effective! 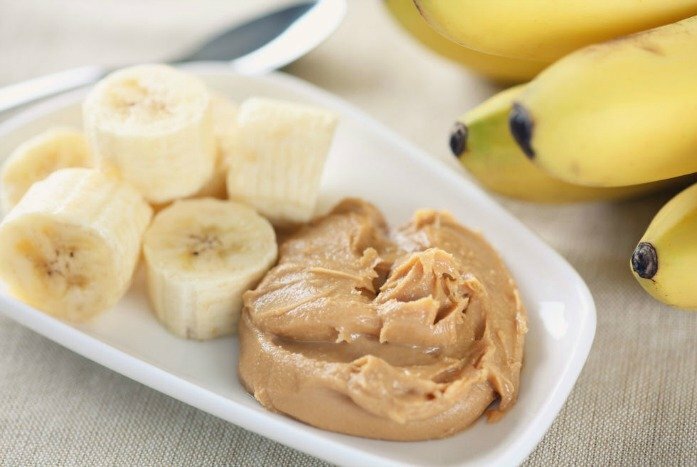 These two high-protein ingredients are not just a rich source of nutrition to energize people every day but also potent combination to boost the strength of your face skin. In other words, they are really suitable to make DIY 2-ingredient face masks for glowing, flawless skin. 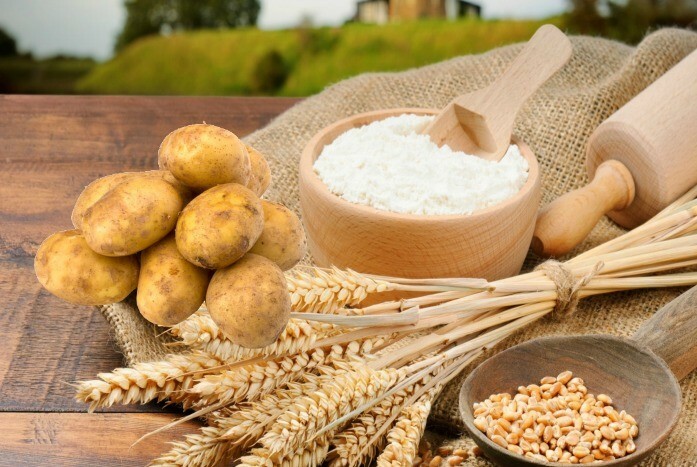 In this remedy, while the gram flour plays a role as an excellent exfoliant to brighten and lighten your skin, ward off acne and decrease the excess oiliness, the potato is packed with natural bleaching properties which can reduce the blemishes and help fade the dark spots on your face skin. Wash it off with clean water after that. You can follow this process two times per week for a clear and clean skin. 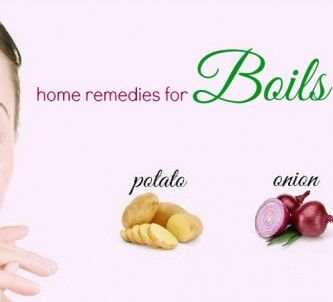 One more thing: if you don’t have potato, you can use cucumber juice, buttermilk green tea, plain yogurt, coconut water or rose water instead. Your face mask is still of high effectiveness. If you are looking around for effective natural DIY 2-ingredient face masks for glowing, flawless skin, then you must not ignore these things: coconut water and milk powder – integrated into so many skin products to bring about extremely smooth and healthy skin for women. 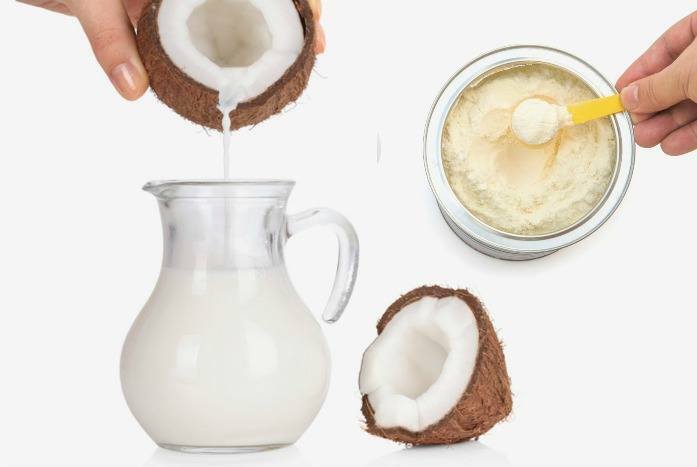 You may not know that the mixture of milk powder and coconut water can be a powerful recipe helping you mitigate the pigmentation as well as boost your complexion so well. In the milk powder, there is a high level of protein and lactic acid and these properties are like anti-aging ones to help you call back your youthful skin. Besides, coconut water is in charge of providing you glowing complexion and lightening your suntan thoroughly. On a regular basis, if you can exploit this mask’s benefit, your light and glowing skin is nothing untouchable. And if you don’t have coconut water, you can replace it with some lemon juice for the same effect. Everyone all knows that cucumber is an indispensable part of every beauty tip because of its effective hydration and cooling effect. It also helps to lighten your skin with the ability to palliate the suntan and fade blemishes away, besides giving you a glowing complexion. Packed with astringent compounds, cucumber can become a great skin toner. 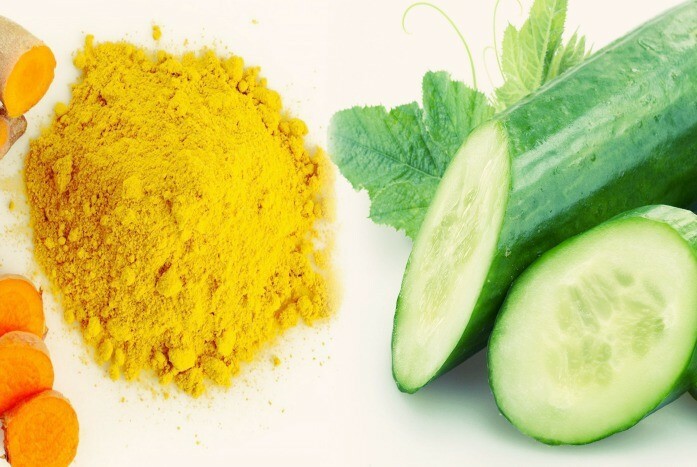 But your skin will be more gorgeous than ever when combining cucumber with turmeric. In some studies, turmeric appears to be a potent ingredient in maintaining the skin tone and rejuvenating your skin. It is loaded with high content of antibacterial, anti-inflammatory and antioxidants properties, so your skin breakout will be treated excellently to give you clear and flawless skin. Apply this mask on the face several times per week if you want to see the excellent result fast. Because we are reading about the best natural DIY 2-ingredient face masks for glowing, flawless skin, there is no reason we forget the recipes from herb (herb extract to be exact). As the herb is totally natural, so you will not need to worry about chemical or toxic substances like in some other skin products. 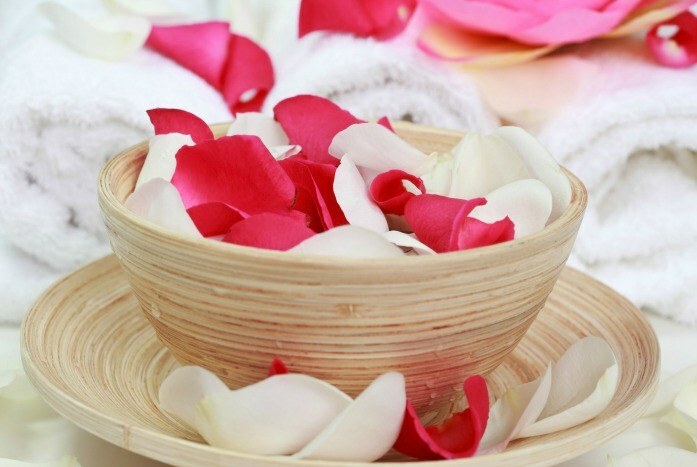 The herb extract that we want to mention is rose water and sandalwood powder. Coming to this remedy, you can get the skin-lightening and cooling benefits from sandalwood and the soothing function of rose water with the support of antioxidants, astringent and anti-inflammatory properties which can call back the youthful glow of your skin. Done, you apply this face mask to your face and neck evenly. Wait for 15-20 minutes and when it is dry, you wash the mask off with cool water. Apply this method one or two times per week for all skin types, especially combination and oily skin. For sensitive skin, it is also very effective but you need to prepare fuller’s earth and rose water to ward off the excessive oil. The fact is that so many natural sources around you can help you to own glowing and flawless skin. 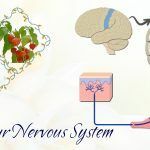 You just need to pay a little attention to the surrounding, then will see that fruit is also a potent source to bring to you the desirable skin. 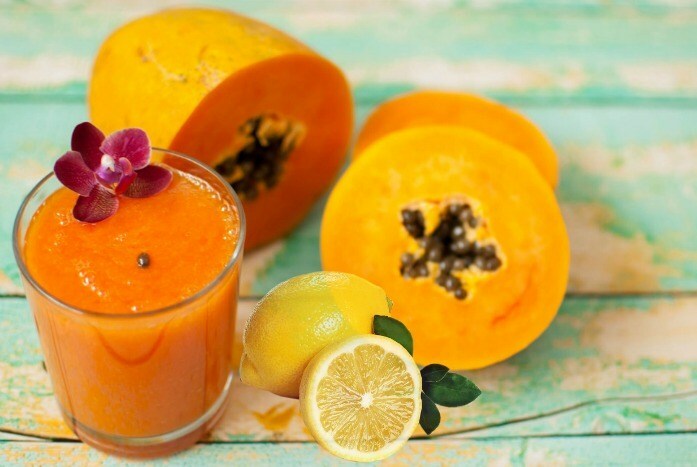 Such kinds of fruit as papaya and lemon juice are also considered the nutritional combination for your face skin and among the most efficient DIY 2-ingredient face masks for glowing, flawless skin. From papaya, women’s skin can absorb the excellent properties such as alpha-hydroxy acting as a gentle exfoliant which helps to exfoliate your skin and get rid of your dead skin cells. This kind of fruit is also comprised of the high content of enzymes which can struggle with wrinkles and protect you from premature aging. Moreover, when being combined with lemon juice, the skin-lightening properties of both of these fruits can help your skin become lighter, cleaner and free from blemishes and acne scars. 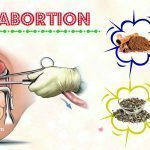 Take note that, before you carry out this remedy, be sure you peel and de-seed the papaya thoroughly. 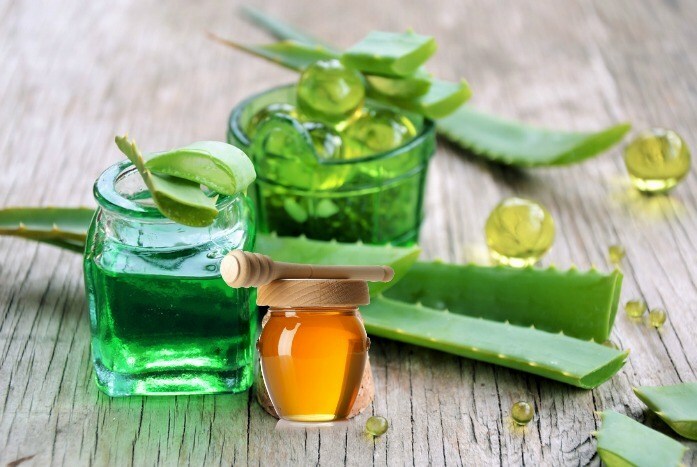 It is certain that you at least once have seen some skin products made from aloe vera extract and green tea which are geared to lighten your skin, remove acne, fade the dark spots effectively…However, sometimes you cannot know whether the extract on such products is totally 100% natural or not, then the solution for you is taking use of DIY 2-ingredient face masks for glowing, flawless skin from the natural aloe vera and green tea directly to be free from chemicals and toxic. 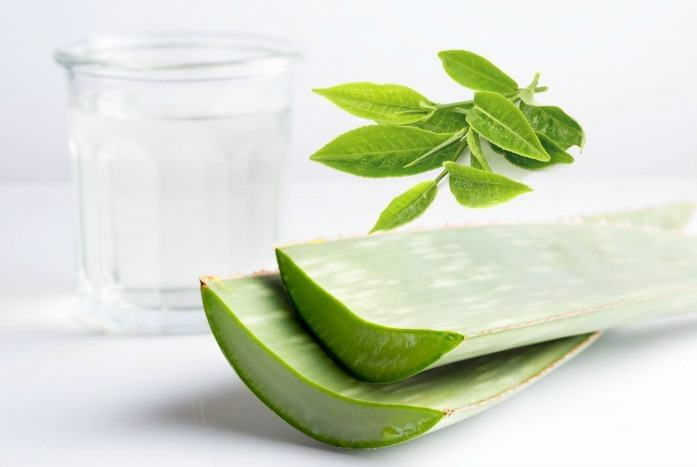 Aloe vera is indeed an amazing ingredient in making your skin perfect because of its high amount of vitamin, amino acids and minerals. It is believed to use in cosmetics to mitigate the suntan. On the other hand, with green tea, people can discover a storehouse of antioxidants here. It is also known as a skin-nourishing ingredient which can provide you with the clearer complexion as well as anti-aging signs. Both of these ingredients, truthfully, can struggle well with pimples and acne with the high anti-bacterial and anti-inflammatory properties. Blend them well and then take this mask to apply on your face and neck for 15-20 minutes and use clean water to remove the mask. Apply this method several times per week for brighter skin. For other useful DIY 2-ingredient face masks for glowing, flawless skin, keep following. 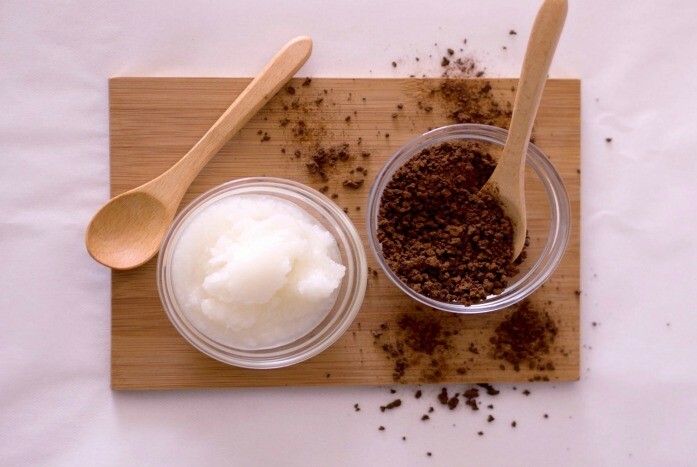 In the next natural face mask, you will be introduced about the combination between two nutritious ingredients coconut oil and cocoa powder which is among the best DIY 2-ingredient face masks for glowing, flawless skin. 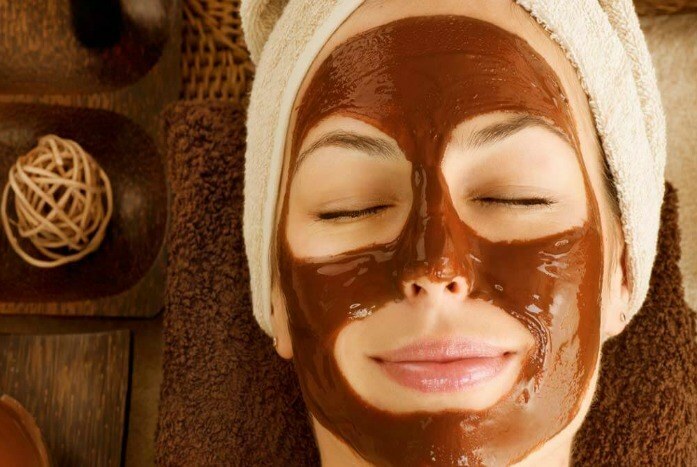 You may think cocoa powder is just a material for drink or cake, coconut oil is just for hair…but actually, they can do even more than that, specifically, provide your skin gorgeous appearance. Absorbing these two ingredients, your skin will be totally clean and smooth. With cocoa powder, your skin can be improved in texture, the damaged skin can be removed and the glowing complexion can be maintained well. On the other hand, coconut oil, been known for its high utility in nurturing the hair, is also used to nourish and moisturize your skin excellently. If you really want to maintain youth-looking and flawless skin, you’d better apply the mask made with coconut oil and cocoa powder. Reapply this process one or two times per week. Remember that to get the best result, you should use dark cocoa powder. The combination of almond and honey is considered one of the best DIY face-masks for glowing, flawless skin. 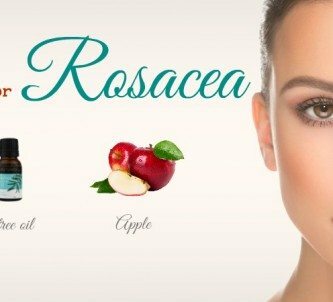 So many women have searched for these two beneficial ingredients in hopes of recalling the gorgeous and strong skin and most of them have gained the definite success. Almond has been well known for the ability to brighten and lighten your skin, plus the rich content of vitamin E, healthy fats, and antioxidants, it is becoming the popular ingredient in every beauty recipe. When being made into a paste, it becomes a really effective and gentle exfoliant which helps to revitalize and moisturize your skin well. When being combined with honey, this will make a special face mask to help lighten your skin efficiently. Moreover, this kind of mask can help you to deal with blemishes and keep clean skin all the time. Take note that you can soak the almonds overnight, peel the skin and have them ground after that. Have you made a cup of green tea with a tea bag? Don’t discard the tea bag as it may become super useful in some cases, especially when your skin has to face with a pimple, dryness, or oiliness…In other words, tea bag after used can be a potent source to nurture your bright skin. Moreover, the inside helpful elements of green tea bag can make it an excellent exfoliant to help purge the impurities, simultaneously call back your youthful skin. When being combined with raw honey, the mgask is a soothing mask which provides your skin with smooth and soft nature. Rub this mask on your face gently to exfoliate your skin. 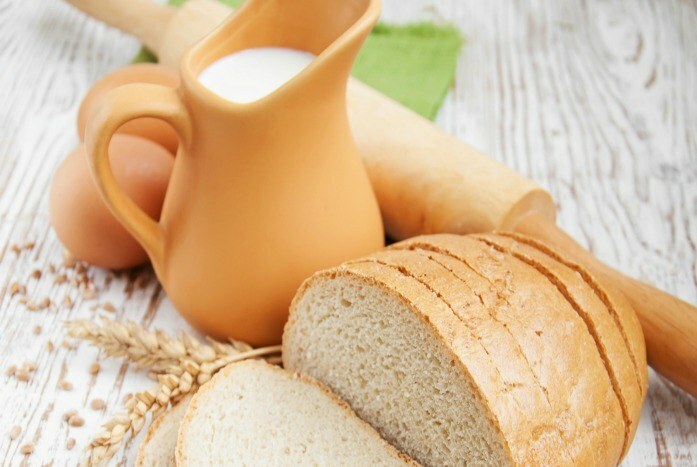 For a long time, bread has been used as a source to provide enough energy for people who have to take many activities for a whole day long, while milk has been a nutritious drink helping boost the people’s health excellently. But have you ever thought that these two things can be combined to strengthen your face skin and make it more attractive? If your answer is yes, then congratulations, you have got the very special idea to transform your skin. Both bread and milk can provide your skin with enough moisture, help you deal with dryness well and bring about soft skin after a short time. Taking use of these ingredients, the helpful fat will boost the strength of skin structure, so you will be totally satisfied with bright and soft skin without any suspicion. What you need for this face mask are a piece of bread and 2-3 teaspoons fresh milk. Firstly, you put such amount of milk in a small bowl and put the piece of bread in it to let it absorb the milk. When all are removed, you use tepid water to wash your face again and pat it dry. Now, you can feel the softness of your skin apparently. Repeat this process several times per week and then feel the glowing strong skin easily. Apple cider vinegar seems to be a must-have item in everyone’s kitchen, so you can easily take some of it to apply to your skin to get the flawless and glowing skin. 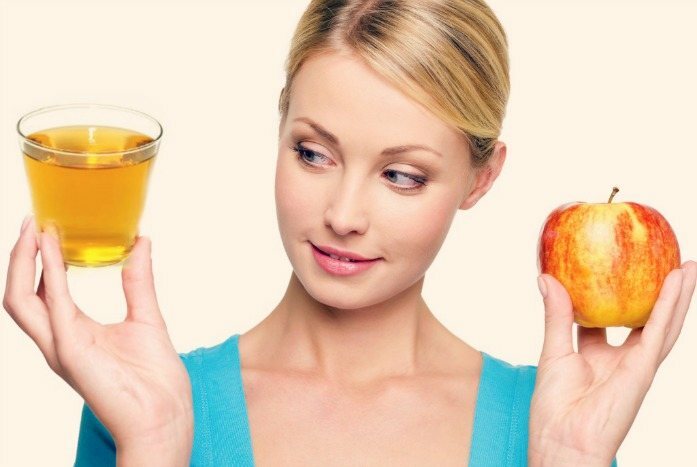 But there may come a question: Why apple cider vinegar? Then the answer is quite simple. If you able to know that apple cider vinegar is enriched with pectin, potassium, calcium and malic acid – elements really helpful to skin, you will definitely convinced by its excellent effect on your skin. Even though it is quite weird to apply apple cider vinegar on your skin, you really should do that because the antiseptic and antibacterial compounds in ACV will be the extra nutrition to help you combat with skin infections like eczema and acne. The ACV-based toner should be made from unfiltered raw ACV to balance the pH of your skin, ward off the makeup or excess oil and exfoliate to keep skin pores open easily. It is also a non-toxic substance, so you will not need to worry about the unexpected effect from it. Now, to make a perfect mask for your skin, prepare raw unfiltered apple cider vinegar and distilled water. Basing on your skin type to choose the most suitable ACV mask. Then after choosing one, you just need to rub this solution on your face gently, leave it there for 15-20 minutes and then rinse it off with clean water. Your skin will be more elastic and clean. After several times applying this method, your skin’s dryness will be mitigated transparently. Yogurt is packed with a high content of acid lactic, plus AHA which is utilized to deal with skin pores, stimulate the collagen production and exfoliate your skin well. It helps to clean your skin gently, especially sensitive skin. So it is an ideal ingredient to be used in so many masks for facial skin. On the other hand, honey is called a natural humectant whose main function is to retain water to hydrate your skin to keep it soft and moisturized all the time. It can be an anti-microbial agent to help you deal with minor cuts and burns on the skin. It is also mostly used for sensitive skin. After done, you will rinse the mask off with clean water. Reapply this method several times per week if you want to get the immediate result on your skin. 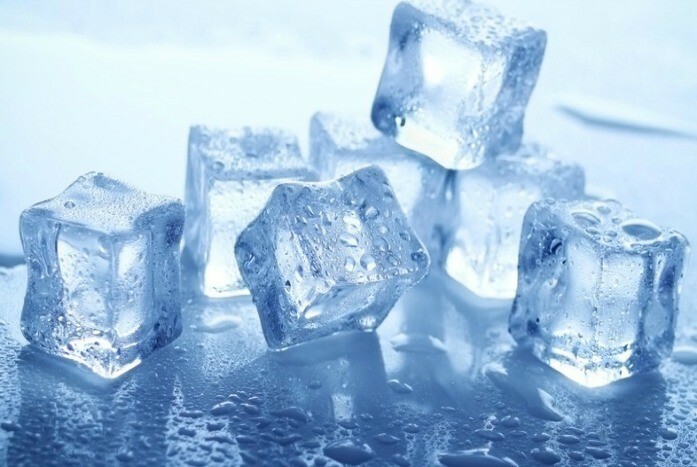 You at least one time heard about the usage of ice can tighten your skin and reduce the acne. 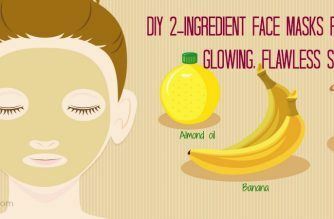 Actually, they can be a part of the best DIY 2-ingredient face masks for glowing, flawless skin. Of course, using ice can be an ideal way to strengthen your skin. But when being an ice cream, it can be even more effective in treating your skin. It can work really well on your skin and the gorgeous skin is not something too far to reach. This method is really simple to follow, you just need to lift an ice cube and then soak it in cream or milk Malai, then apply it to your face gently and wait to see the bright result. Wanna spend more to get more, you can pour some cream into an ice tray, place it in the refrigerator, wait till it gets icy and you can take these ice cubes to rub on your face in circular motion for 2-3 minutes. This can not only make your skin tighter but also leave your skin with a radiant and fresh appearance in a few minutes. There exist so many DIY 2-ingredient face masks for glowing, flawless skin, among of them is the mixture of coconut and brown sugar which is believed to liven your face skin fast. This kind of face mask can be used for your skin in winter when your skin is in the driest situation. Both of these ingredients contain potent properties which can exfoliate your skin well, especially coconut oil is packed with useful fat which can provide your skin enough moisture and smoothness. After using this mask, your dead skin cells can be removed and your skin is also revitalized to be softer and clearer thoroughly. 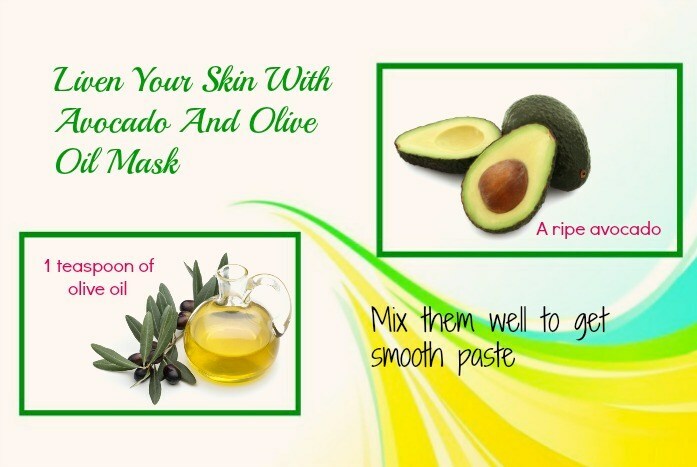 Going to the next DIY 2-ingredient face masks for glowing, flawless skin, you will be introduced about avocado. Avocado is originated from the Central America and has been healthy food for a long time. But more than that, it is also among the greatest ingredients to make skin care remedy. With the creamy texture, avocado can make you feel like applying mousse to your skin. And the reasons why avocado is believed to use by so many people are apparent. It is comprised of potent properties which are really helpful to your skin. You can track some key nutrients of avocado here: It contains fatty acids which can moisturize, soften and lubricate your skin, it contains biotin which can help strengthen your skin and revitalize your dry cracked skin. Avocado is also enriched with vitamin A which can heal peeling skin. 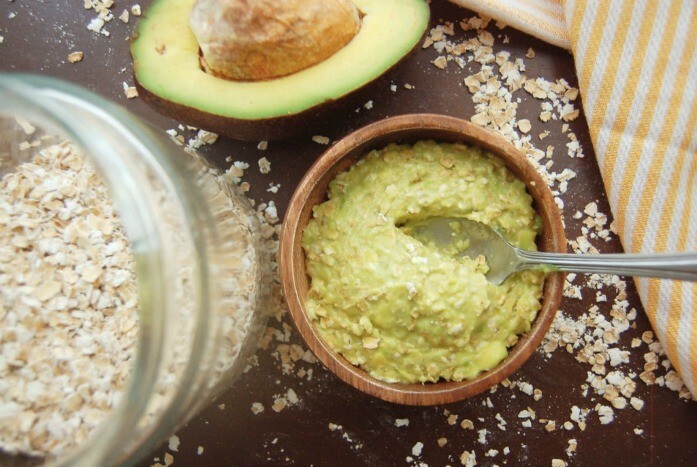 The other ingredient to combine with avocado to make an amazing mask for skin is oat. Oat powder is a source of nutrition which can provide soothing and softening compounds to help your skin softer and lighter fast. Done, use a soft clean towel to pat on your face skin. You will need nothing to cleanse skin as avocado and oat have deeply hydrated your skin. 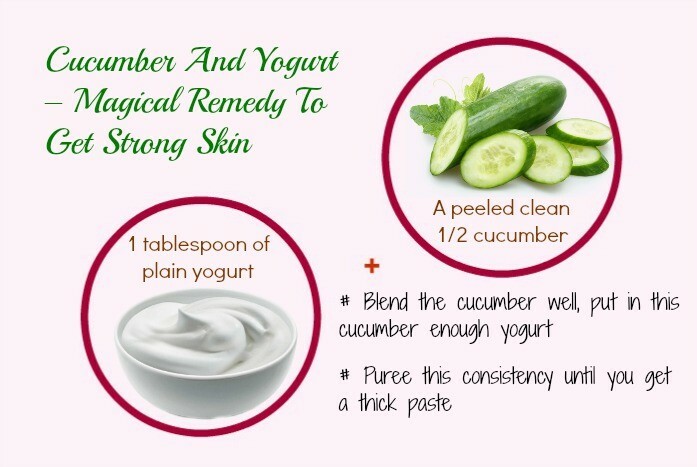 The mask made from cucumber and yogurt is one of the greatest DIY 2-ingredient face masks for glowing, flawless skin. Extract the nutrients from these ingredients and feel the positive change on your skin. This mask is specially made for all types of skin. Each ingredient with specific benefits can help you deal with skin problems thoroughly, simultaneously providing your skin with smooth feeling and elasticity. The first ingredient is yogurt containing acid lactic which can help exfoliate your skin to keep it moisturized all the time. 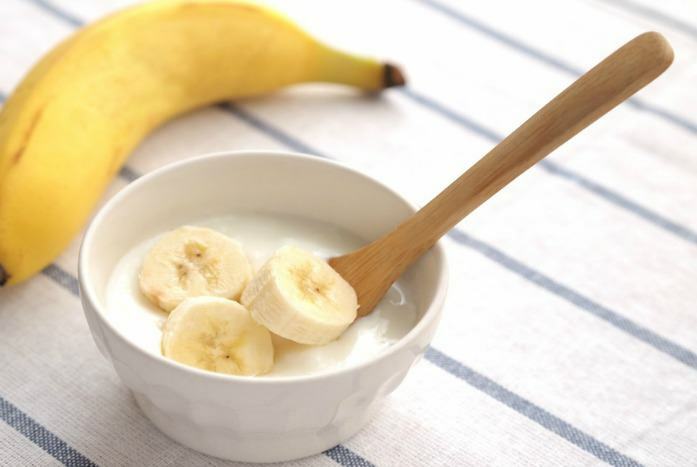 The yogurt can also help you to relieve the sunburn, struggle with pimples and discoloration to give you glowing skin. When being combined with cooling factor as a cucumber, the yogurt-cucumber mask becomes a really relaxing and beneficial mask for skin. Puree this consistency until you get a thick paste. Finally, use cold water to wash the mask off, you will immediately get the cool feeling on your face. You may have come across so many skin products using cucumber extracts as the main component to provide your skin with the essential strength. 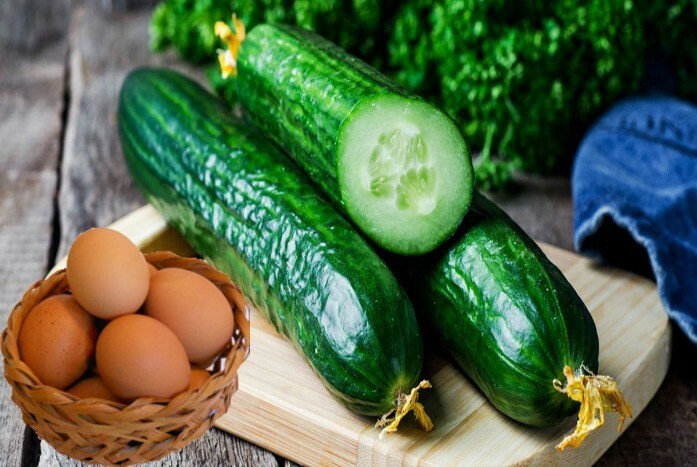 In fact, cucumber is not just a green water-rich vegetable but also comprised of so many antioxidants and anti-inflammatory factors which are extremely good for your skin. Utilizing natural cucumber in some DIY 2-ingredient face masks for glowing, flawless skin is not strange, so your skin can receive the service like being softened, cleansed, soothed,…Moreover, it is also very effective to deal with oily or sunburned skin and brighten your skin well. It is combined with so many other natural ingredients to make a face mask, one of them is egg white. Egg white will play a role as a tightener which helps to tighten your skin to make it more elastic. In short, the mask made from cucumber and egg white can become an effective toner to help you resolve the oily skin and provide enough moisture to your skin. Finally, you just need to use clean water to wash the mask off and pat dry your skin. Apply this method on a regular basis to get the best skin condition. Cucumber is well known for its undeniable utility as mentioned above. And you also have got that it can be combined with so many other ingredients to formulate DIY 2-ingredient face masks for glowing, flawless skin. In this remedy, you will be introduced about the combination of a cooling factor cucumber and a hot factor honey. The honey in this remedy is in charge of promoting your skin’s elasticity thanks to the exfoliating properties in it. Honey is also used to boost the growth of new tissue which can result in the better look on your skin. However, you can also replace the honey with aloe vera for the same positive result. Leave it there for 15-20 minutes and then rinse it off with clean water. Note: you can also mix mashed cucumber with non-sugar milk. This mask is also geared to soften your skin, brighten and whiten your skin as well. In the list of the top DIY 2-ingredient face masks for glowing, flawless skin, people cannot ignore the mixture of skin-nourishing ingredient: baking soda. 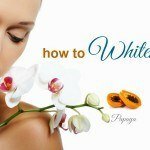 It can help to whiten your skin speedily. Especially, the pH of baking soda can help to balance the acid – alkaline of your skin. Using baking soda to make the face mask, it will help to repair the dark skin and ward off the cellular damage thoroughly. It can brighten and soften your skin as it is equipped with the antiseptic, antifungal, anti-bacterial and anti-inflammatory properties. In fact, baking soda can be combined with many ingredients to make perfect DIY 2-ingredient face masks for glowing, flawless skin. Choose one of the below to apply to your face skin. Note: You can use almond milk or buttermilk to replace water. 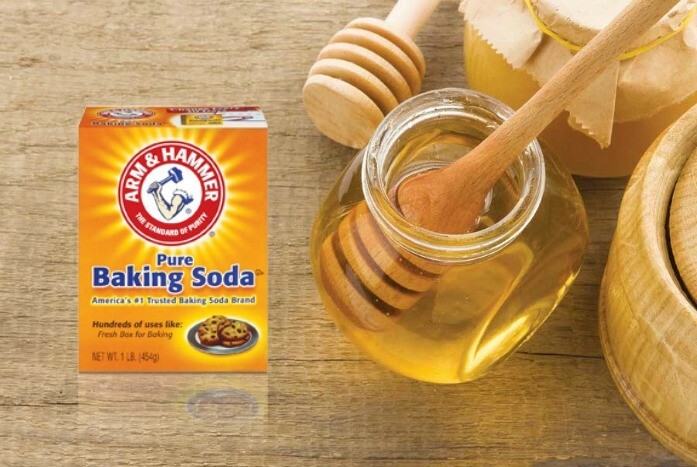 Make the mask from baking soda and honey: This can combat with bacteria, reduce your redness and tighten your skin pores. Finally, rinse it off with water and pat it dry. Make a mask from baking soda and strawberry: This mask can remove the excess dirt, impurities from your skin. Besides, it can boost the skin’s complexion and the melanin production. One of other DIY 2-ingredient face masks for glowing, flawless skin is a mask from baking soda and tomato: This mask is effective in glowing and brightening your mask skin thoroughly. Reapply this method several times if needed to get the light skin. Next DIY 2-ingredient face masks for glowing, flawless skin from baking soda you can take is mask from baking soda and oat flour: this will help to remove dead skin cells and activate the lightening skin cells excellently. Massage it gently on your skin for 2-3 minutes before washing the mask off with water. You can add honey or olive oil in this paste to boost its effectiveness. Note: Before putting any of the above masks to your skin, make sure that you test it on your hand skin before applying on your face skin as your face skin may be sensitive to it. From this perspective, now you can extract the great attributes from coffee to transform your skin. Coffee is enriched with a high content of antioxidants that can keep you safe from the radicals harmful to your skin. In coffee, there is caffeine which can boost the skin’s function and fortify the blood flow to your face, so your face skin can look bright and radiant. Coffee also helps to boost the collagen production and elastin, at the same time, reduce the water loss and keep your skin always moisturized and soft. Another ingredient used to combine with coffee to make fabulous DIY 2-ingredient face masks for glowing, flawless skin is coconut oil. As you may know, coconut oil has been widely used for all types of skin to protect skin from radicals and premature aging. Its high level of anti-fungal, antibacterial, antimicrobial properties makes coconut oil an ideal choice to revitalize your skin. So now, with just two amazing ingredients, you can make the desired mask for glowing and flawless skin. Then, you use warm water to rinse the mask off for glowing skin. 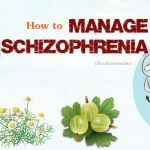 You can apply this method 2-3 times per week for the best result. 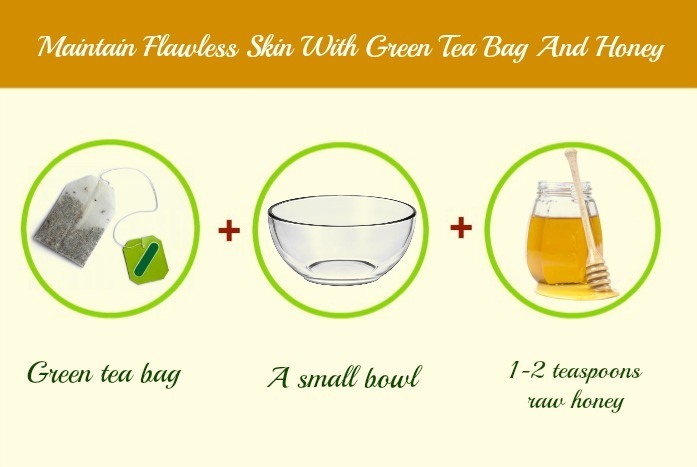 You may be using the remedy from tea bag as mentioned above and find it really effective to you, but you also should utilize the green tea to make a good change for your face skin. Green tea is a great soothing element which can help to neutralize the oil on your face. 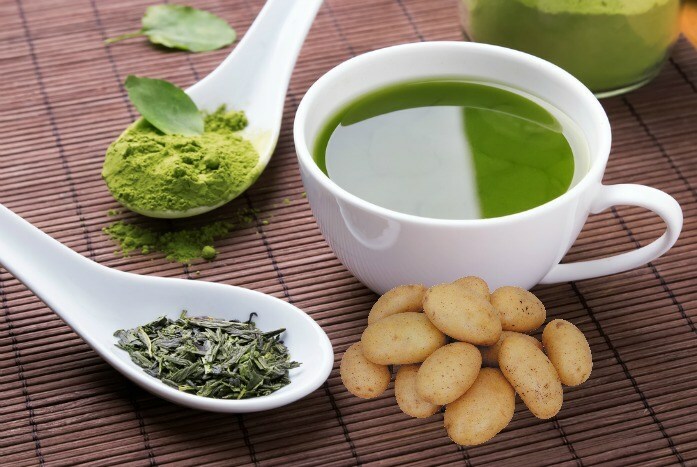 In the green tea, women can see the high content of anti-inflammatory and antioxidants, so if it is used on your skin, the dirt or impurities will be ejected thoroughly. Mixing it with potato juice, it can formulate a great face mask that can both take control of your skin’s oil and target the pigmented skin, uneven skin tone, and blemishes well. The process of making this mask is quite simple. Firstly, you need to brew 1-2 green tea bags in 10 minutes and then extract the water out. Wait till the water gets cooler, you will need to add in this about 2 tablespoons of potato juice in 2 tablespoons of green tea. Then you apply this solution to your face, massage your face skin gently and feel the difference on your skin. Certainly, when talking about DIY 2-ingredient face masks for glowing, flawless skin, you will immediately think about tomato ingredient as an indispensable ingredient in every beauty tips. You may come across so many skin products using tomato extract just because of its high effect on whitening and livening your face skin. Tomato is packed with fruit acid. It can be combined with no-sugar milk with the high acid content to make an efficient overnight face mask to bring about even skin tone and good looking skin. Then you dip the tomato halves in the milk and then apply these slices of milk-treated tomato on your face. It is sure that just after sometimes taking use of this remedy, your skin will become more gorgeous than ever before. 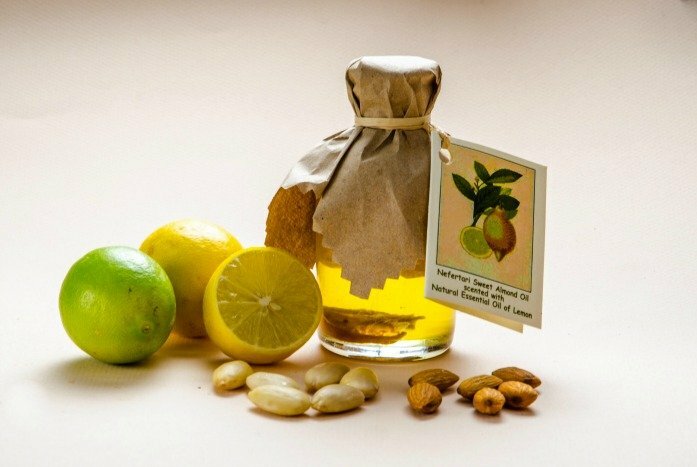 There are various kinds of essential oil which are utilized to make powerful DIY 2-ingredient face masks for glowing, flawless skin, one of which is almond oil. Especially, when being combined with lemon, this kind of solution will bring about the gorgeous skin just after sometimes using it. The mask made from lemon and almond oil is made to help you get glowing and flawless skin after removing the pigmentation problems, dark spots, dark circles or uneven skin tone. Both of these ingredients keep lightening and brightening benefits, so once using them on your face, it is certain that you will own soft and smooth skin just after a short time. The recipe is quite simple to follow. You just need to mix 1 tablespoon of almond oil with 1 tablespoon of lemon juice. Stir it well and then apply this solution on your face using the finger to massage your face gently in an upward direction. After sometimes using this method, your skin will be free from some normal skin problems and become more glowing than ever. Above is the list of 27 best natural DIY 2-ingredient face masks for glowing, flawless skin. After considering them, have you chosen the most suitable remedy for your skin? If yes, then congratulations, as you are gonna, possess brilliant skin that makes so many others jealous of you. 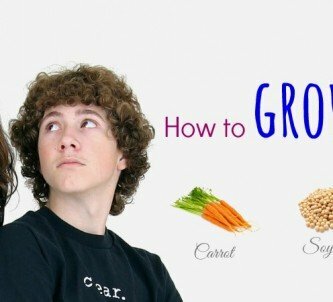 You are going to shine among the crowd because of your attractive look thanks to natural remedies. Now, you can be confident with your skin with just 2 ingredients in face masks and it is really incredible.  There is just one thing Effective Remedies want you to remember: you should understand your face skin completely before applying any of the above natural remedies because this area is really sensitive. When you are sure that your skin can absorb the nutrition from such specific masks, you can apply to your skin immediately. It is just like a remind for you, you don't need to worry much as natural ingredients are always free from toxic, as you know. So why you still hesitate? Stand up and be gorgeous with shining skin now with the greatest natural skin care above. If you want to know more useful tips besides above great DIY 2-ingredient face masks for glowing, flawless skin, you can visit our DIY Recipes page. 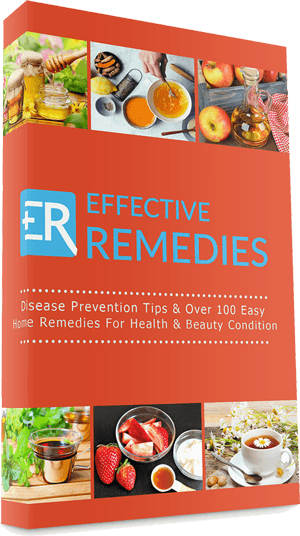 41 Best Recipes of Homemade Face Mask for Dry Skin – How They Work? 34 Ways How To Remove Dead Skin Cells Naturally – Do You Know?